Duncan, who serves as vice chief of anesthesia at Palms West Hospital, is the force behind a trio of initiatives designed to show students that “with or without a stethoscope, they can have a meaningful impact with a career in health care or the sciences,” he explains. Health care jobs are projected to be the fastest growing in the nation through 2026, a fact of which Duncan is keenly aware. He beams when explaining the externship he founded for eighth-grade students to gain experiences at Good Samaritan Medical Center, from undergoing a mock trauma alert to toying with da Vinci robots. He also created the annual Health care and Science Stars of Tomorrow Career Symposium in conjunction with the T. Leroy Jefferson Medical Society, and is the mastermind behind A Day at the Country Club, which has raised funds and awarded more than 35 scholarships to high schoolers aspiring to pursue careers in pre-health and the sciences. 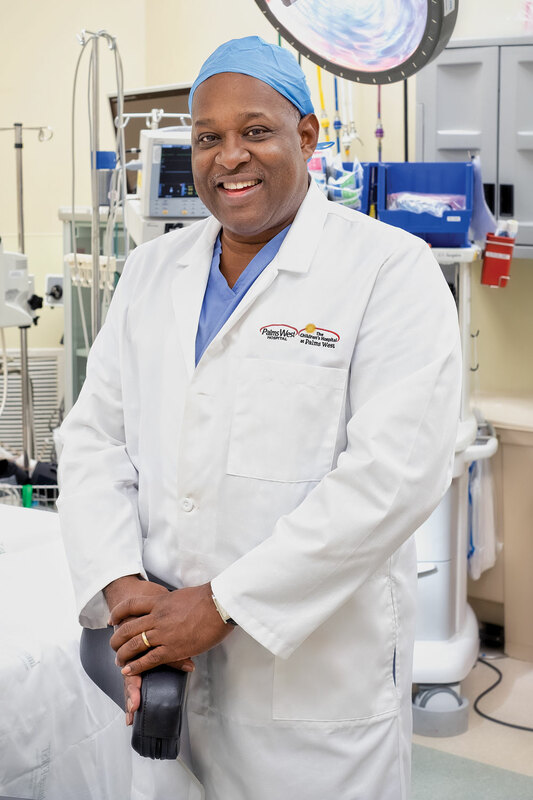 In addition to his work with students, Duncan is a fellow of the American Society of Anesthesiologists and has served on several local boards, including the Palm Beach County Medical Society, the T. Leroy Jefferson Medical Society, and Nova Southeastern University, Palm Beach campus. Duncan’s leadership in the community where he has practiced since 1999 is often recognized. Most recently, he was named one of the 2018 Delta Sigma Theta Men of Excellence.